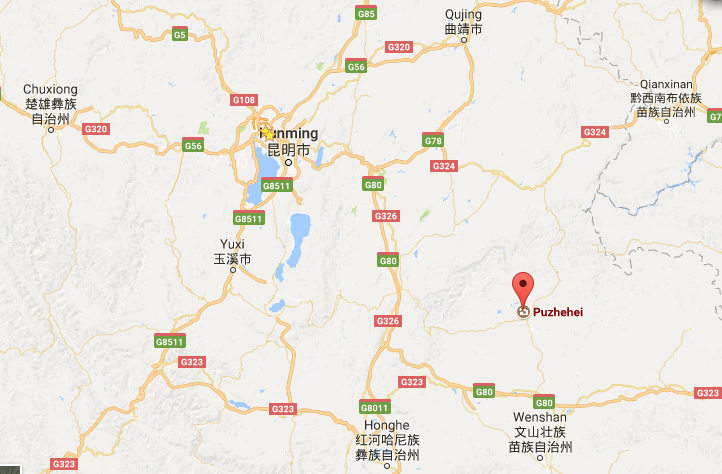 As one of the hottest tourist destinations in Southeast Yunnan, Puzhehei was approved as National AAAA tourist scenic spot in 2009. It has been named as the National Wetland Park in 2012. ‘Puzhehei’ in the Yi language, means ‘a pond teeming with fish and shrimp. In the Puzhehei, the beautiful lakes and mountains composed a beautiful scenery for your eyes. 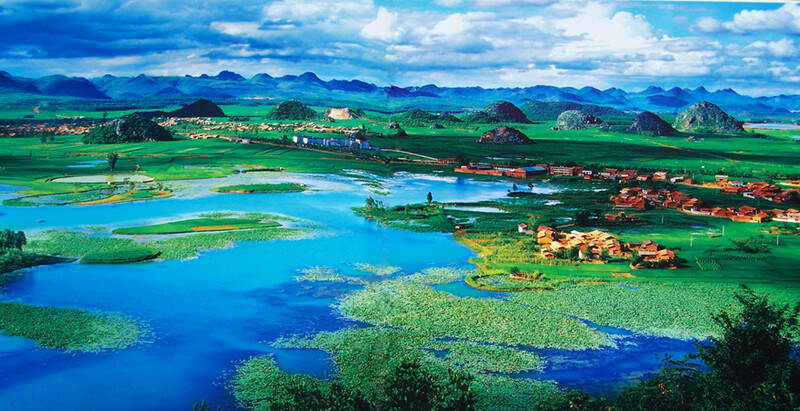 There are 68 Karst Lakes and over 300 mountain peaks. 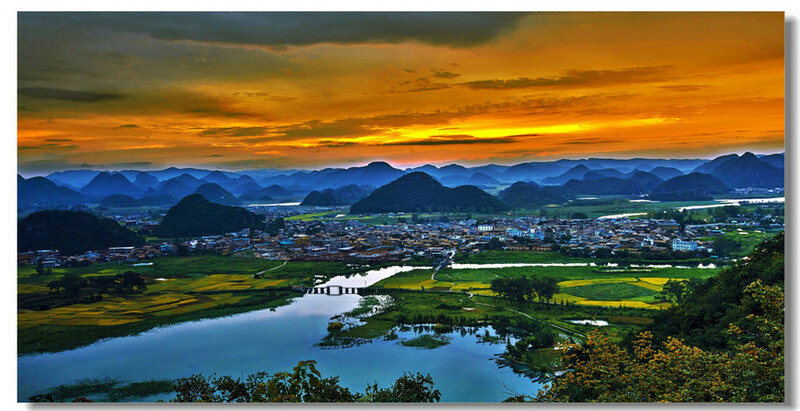 It is also named “the Guilin in Yunnan” which means the most beautiful place in Yunnan. Colorful costumes, traditional villages and a real sense of continuity with the past mark this pastoral area as a nice alternative to some of the more heavily trafficked tourist spots. The limpid lakes, countless green hills, flourishing lotus flowers and small villages side by side attract hundreds of thousands of tourist every year. 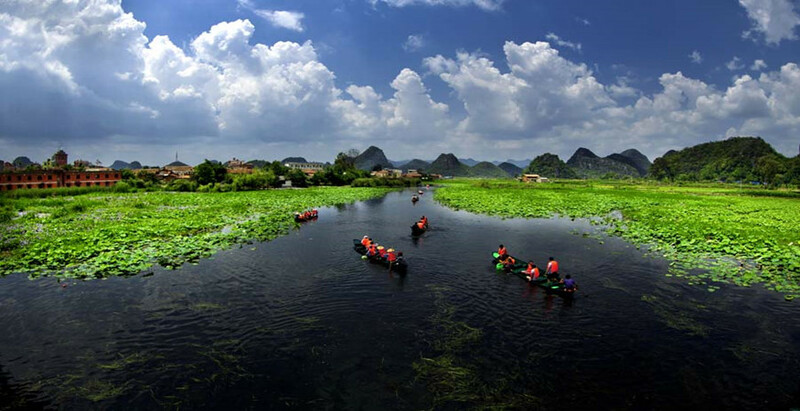 Nature Landscape: Known as “Guilin of Yunnan”, Puzhehei Scenic Area consists of clusters of diverse limestone peaks, unique karst caves and natural lakes embraced by mountains, also the flourishing lotus flowers, such as Dajianshan Scenic Area, Swan lake in Puzhehei and Qinglong Mountain in Puzhehei etc. 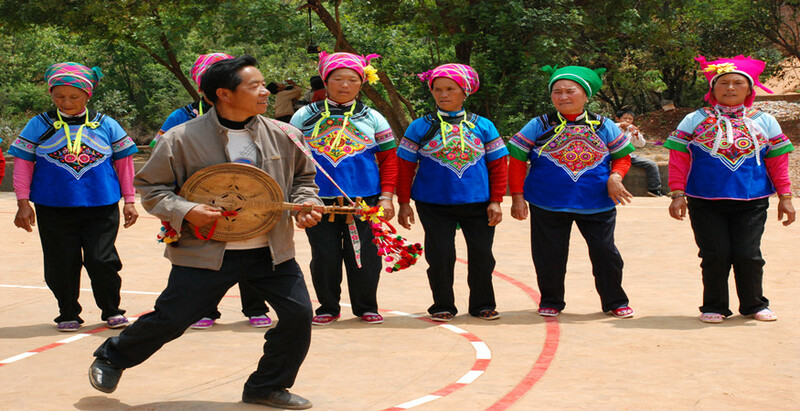 Ethnic Culture: Puzhehei is the home of Yi, Miao and Zhuang ethnic minorities, enjoying the splendid culture and continuity with the past, such as Xianrendong Village, Nahong Zhuang Ethnic Village, Caihuaqing Miao Ethnic Village in Puzhehei, Wenshan.